Commercial door closer ensures safe and quiet closure. 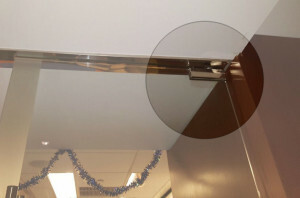 Door Repair Long Island provides expert installation of door closers and exit devices for your commercial property. Affordable and reliable Commercial-grade door closers installation and repair services for commercial businesses in Long Island. We carry an extensive line of door closers from the top brands in the business ensuring that your safety and security is of the highest standards. Our door closers can meet the challenge of even your most thickest commercial doors with products ranging from light, standard and heavy duty hydraulic hardware. We carry door closers meant for normal everyday use in office and residences to those that undergo heavy usage, e.g. doors in restaurants, shops which are “high-traffic areas” and fire exits, where they must be highly durable. Door closers are useful in acting as a first point of security by securing the doors, keeping out pests and reducing energy consumption in climate controlled areas of the building. 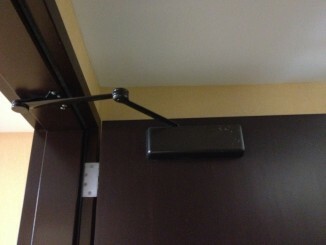 Door Closer – Some closers allow for adjustment of the strength of the spring, making it easier or more difficult to push the door open. 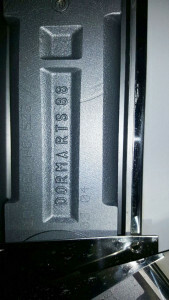 To limit the speed at which the door closes, most door closers use hydraulic (oil-filled) dampers, although spring mechanisms may also be used for damping. At Door Repair Long Island and Door Closer Repair New York, we strive to offer you everything you need to keep your place of business comfortable, safe and secure. Our extensive line of door accessories includes panic bars, electronic, mortise, surface, and high-security exit devices, as well as surface-mounted and concealed door closers, all of which our team of skilled technicians is specially trained to install and maintain.